It is a usual assumption which is almost true as well, that the new software releases or versions are better than its predecessors. As you know, Google has released its new Android 8.0 Oreo, which will take the place of Android 7.0 Nougat. 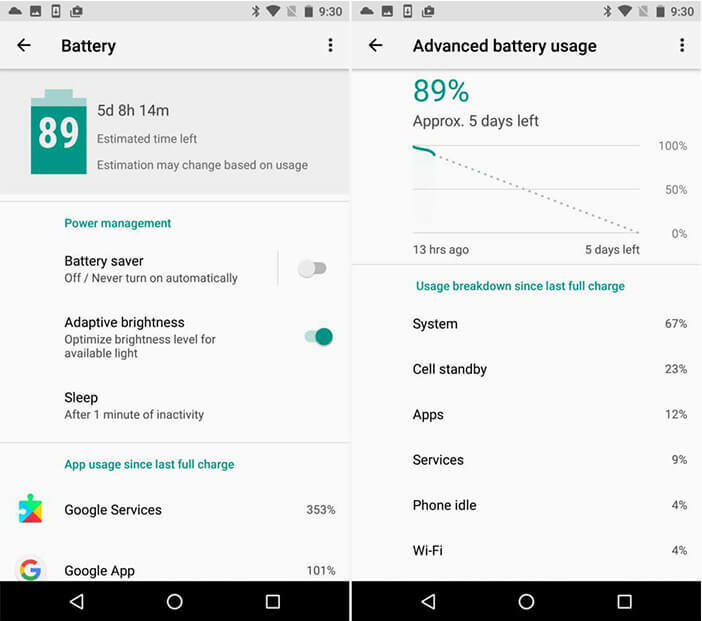 Let us know some facts regarding it and what general improvements are there in this latest version of android operating system. There are two sorts of improvements which you would broadly see, they are new features and then there are altered features which are there but now are a bit different. If you will notice you will see some very big improvements and something just like before. It’s totally a new advanced and smarter version of android on which you can lay your hands. Since its release, android app developers have been working hard to release new apps and updates. Android app development has changed drastically with certain improvements which are released with the Android 8.0 Oreos. Let’s discuss in detail about the improvements which Android 8.0 Oreos have over Android Nougat. Performance - As you know that the Android updates give enhanced and improved android functionality, especially in terms of performance. The new Android Oreo gives you better memory management and process management than its predecessor. May be in the past you haven’t noticed the improvement in performance when you upgraded from the Marshmallow to Nougat but with Oreo things have changed drastically. You will notice some big improvements in terms of processing and memory management in Android Oreo. The system booting time is a lot faster now than it was before. It takes considerably less app loading time than before. Quick setting - There are a few changes when we talk about “Quick settings” panel, it has been made simpler and easier for the user. Android Nougat you can just tap on any icon it just opens its detail view, but this is not the case with the latest Android Oreo update. 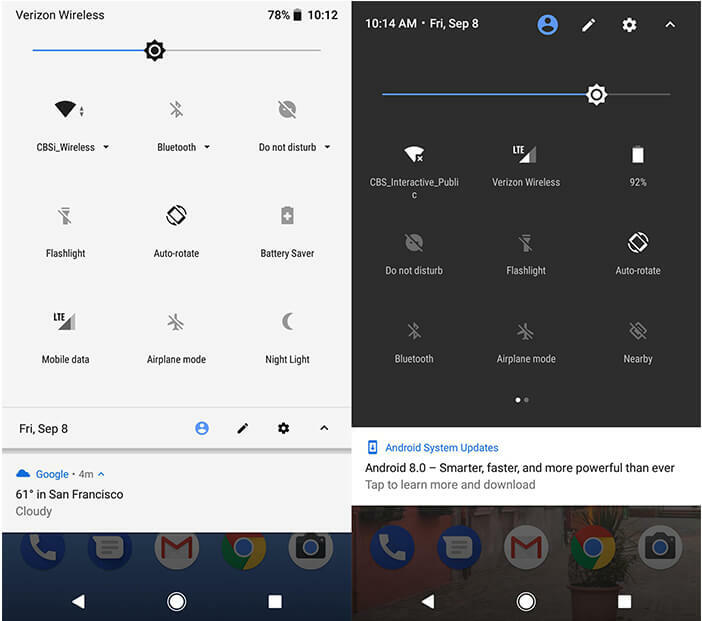 If the users tap on any icons say WI-FI or Bluetooth then it just simply toggles between on and off and if the user taps on the text below then it is simply taken to detail view of that functionality. The user has to be aware of this new feature. File manager - This is something new which Android Oreo only has and all the other predecessors’ lack. Android has file manager which is usually hidden and it is used for system functions as it lacks usability features. The new Android Oreo has a built-in file manager which is a big change. The best thing is it’s not hidden and you can use it to manage your files. It can be seen directly in your app drawer. It also has all the functionalities in it for normal file management. Notification - In terms of notifications, Android Oreo has changed a lot of things and there are too many improvements and alteration. There are lot many changes when you compare it with Android Nougat. Oreo has introduced options so that you can snooze individual apps notification according to your feasibility. You can do this a lot simply, you just have to swipe your finger to the left on the notification of that respective app there you would get this option to snooze. It also gives you timing option from 15 minutes to 120 minutes to choose accordingly. 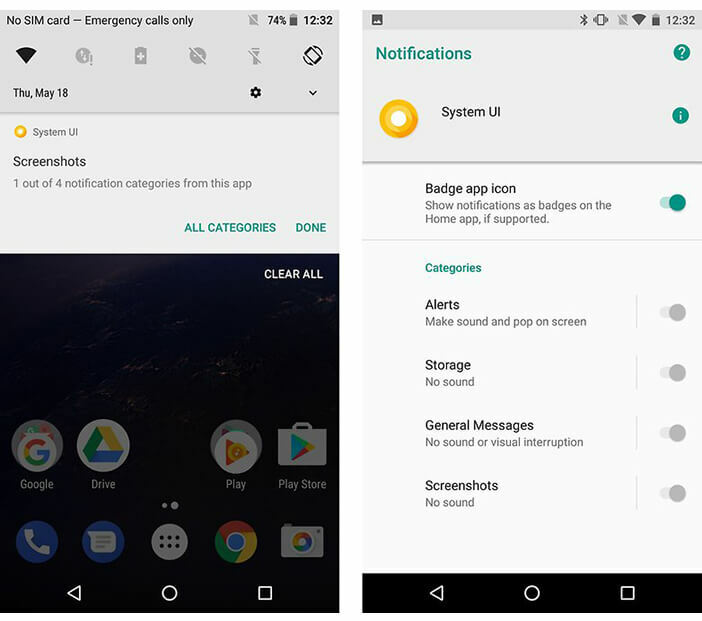 There is one more feature change you can access the notification setting from the notification of the app directly and can change the configuration according to your usability. It also has introduced a new feature called the “notification dots” which helps you to know which notifications are unread or not seen. This helps you a lot in your day to day use. User friendly - The new Android 8.0 Oreo update is a lot more user friendly with a few new features and improved processing and memory management it rocks. It has introduced the autofill feature of chrome in this android so it would be a lot easier in filling forms and details which were previously used by you. It also gives you an edge when you talk about functionalities like multi-tasking and split screen. The overall experience is lag free and more users intuitive in this android Oreo. So, with these new updates, you have ample reasons why you need to upgrade to Oreo over the existing Android Nougat. You must also ensure that all your new android moible apps are compatible with the latest version of Android platform. We at logicspice, ensure that all our developed android apps are compatible with the latest versions of Android. An instructive post. People to really know who they want to reach and why or else, they’ll have no way to know what they’re trying to achieve. People need to hear this and have it drilled into their brains.Thanks for sharing this great article.